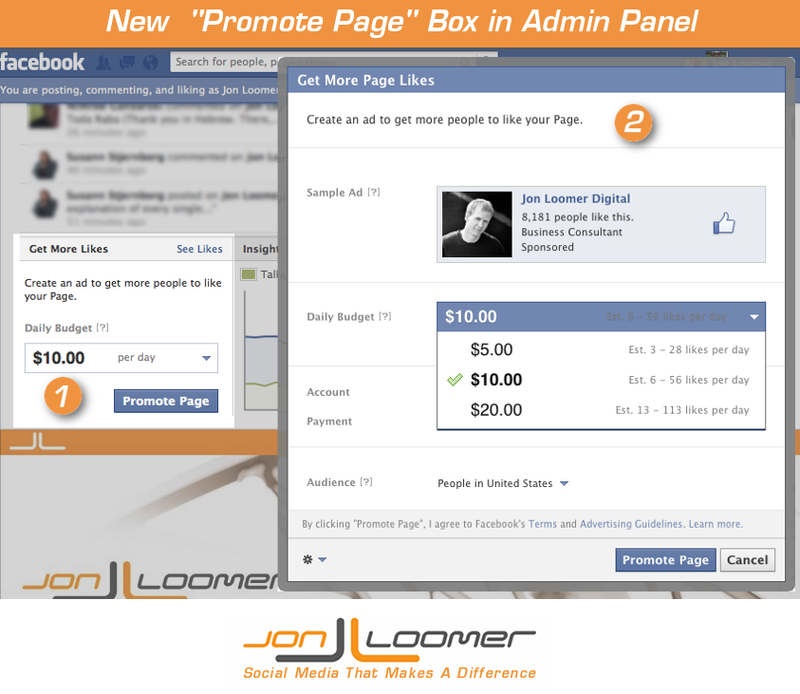 A little over two months ago, I wrote about a new Facebook feature I referred to as Promoted Page: A simpler, easier way to create a campaign that would promote your Facebook Page. It was the Page level answer to the Promoted Post, which allowed marketers to generate a campaign to increase the reach of a piece of content with the single click of a button. So does the Promoted Page feature work? I’m ready to share my results. I experimented with this feature beginning February 16. By the end of March 16, I had spent exactly $100. The third was something that was completely new. Until this unit came out, the Marketplace-style ads (not Sponsored Stories) were not being displayed within mobile or desktop News Feeds. Of course, I like to tinker. Within a couple of days, I quickly realized that the mobile-only Marketplace-type ad was performing best. I stopped the other two ads. 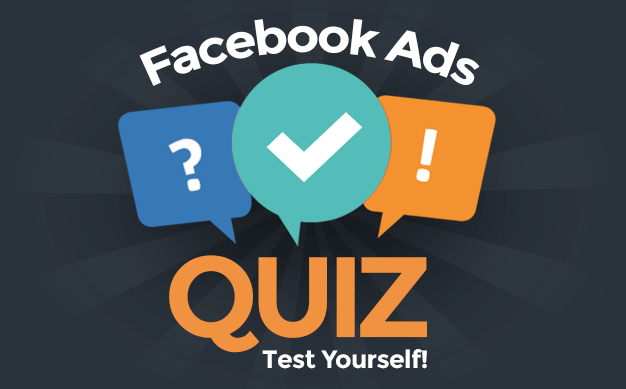 It’s possible I stopped the two ads prematurely but I certainly found success from the one that remained. I spent $99.50 on that ad, resulting in 358 new Pages Likes within the United States only. For those without a calculator handy, that’s $.28 per Page Like. The numbers across the board were terrific for this ad. I was able to get $.28 CPDA all while having a CPM of close to $9.50. Considering ads ran only in the US and on mobile — two characteristics of the most expensive ads — this performance was quite amazing. I’ve run Page Like Sponsored Stories in the past to increase my Page Likes. I had a campaign running from December 19, 2012 through February 28, 2013. I created 37 ad variations, split testing like crazy to find the most efficient combination. Variations were created based on country, interest targeting, bid type and placement. I spent a total of $195.91 on that campaign. So how did this new ad’s performance compare? Wow. This is crazy for so many reasons. I created 37 ad variations of the Sponsored Story, yet no matter the split testing I couldn’t touch the performance of a single auto-generated ad. 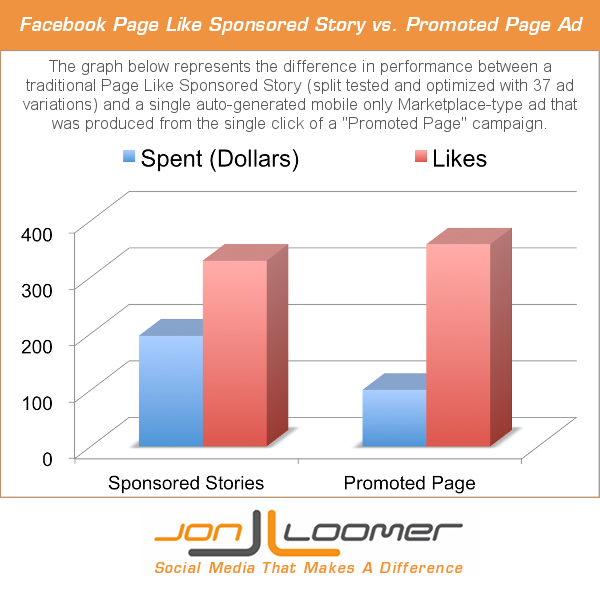 The Sponsored Story had 16% of the CTR of the Promoted Page ad and more than double the CPDA. I ended up spending nearly twice as much money in more than twice the amount of time to get fewer the number of Page Likes. Wow. This thing works. If you have it, I recommend trying it out. And also consider monitoring and pausing the other two ads as I did to get maximum performance. Let me know the results of your campaign below!